Gordon Stuart, AKA The Arctic Rider, is an IT Professional and a charity ambassador. 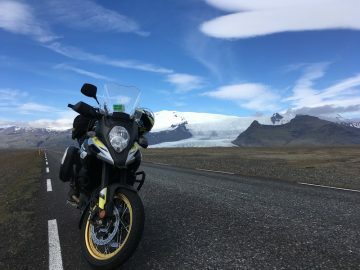 He also has a longstanding obsession with motorbike travel and The Arctic Circle which includes a lifetime goal to cross The Arctic Circle in every country possible by motorbike. 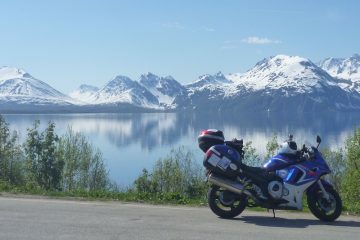 Gordon has been touring in Europe on motorbikes since aged 19, including a 10,000km trip through 8 countries to Nordkapp. Currently, Gordon has a Suzuki V-Strom 1000XT alongside a Suzuki GSX650F in his garage, having previously owned a Kawasaki ER-5, Yamaha Virago, and Suzuki Marauder 125, in addition to riding plenty of other bikes along the way.